Has anyone ever told you that you are paying too much for your car? The conversation goes something like this: You’re paying how much for that car? My buddy got the same car for half the price – you got a terrible deal! Of course, they fail to mention several key points, like their buddy put 30% as a down payment or only has 10,000 miles on the lease when you have 18,000 miles. How about your co-worker mentioning he received a huge tax refund this year (and you make the same money he does) and you had to pay several thousand dollars? Of course, they forgot to mention the fact they have a large mortgage (interest is tax deductible) and live in a high real estate tax area, or maybe they simply withhold more taxes than you did. The truth is you need to be careful as taking comments at “face” value without all of the facts can be very dangerous. The same can be true about your investment portfolio – make sure you get all the facts! Inevitably, I get several calls throughout the year from clients with this question: My friend’s (co-worker, family member, neighbor’s) portfolio was up X% this year. How come mine was only up Y%? On the surface, it’s a legitimate question. However, there are so many variables that help determine one’s rate of return. Like the examples above, you really need all of the facts. The biggest determinate of the rate of return is the portfolio’s asset allocation. How much is in stocks, bonds, and cash? In any given year would you expect a portfolio with 100% stocks to perform the same as a portfolio with 50% in stocks and 50% in bonds? I would think most would answer no – in a good stock market, we expect the 100% stock portfolio will outperform. However, in a poor market, the 50%/50% portfolio should outperform. Whether it’s about the price of a car or the rate of one’s return on investment, there are many variables that often need to be considered. The reality is if we just look at the rate of return, then we are missing one very important point: these two portfolios have much different risks associated with them. While a 100% stock portfolio will have larger upside, it will also have larger downside risk. This point is lost when the stock market is strong but is very apparent when the stock market is poor (anyone remember 2008?). Unfortunately, risk is very real in portfolios and you always need to be cognizant of this fact, even in up markets. Clients want to have their cake and eat it too. In an up market, they ask: Why am I not in 100% stocks? In a down market, they want to know: Why am I not in 100% bonds? The simple answer is you need to be in both because trying to “time” the market is nearly impossible. Remember, your asset allocation was chosen for a reason. Factors such as your risk tolerance (sleep factor), age, time horizon, and goals and objectives are a few key factors in helping make the proper asset allocation decision. Don’t jump ship from your investment philosophy because climbing up the risk spectrum might just cause you some sleepless nights. Sometimes we get caught up in the hype. It is easy when the stock market continues to move higher, but we always must be wary of the potential downside risk. Being able to sleep at night is a wonderful feeling. While you may be giving up some of the upside, you potentially will be limiting your downside and stock market volatility can take you on an emotional roller-coaster. Don’t let greed or emotions drive your investment decisions – it can only be detrimental to your portfolio in the long term. Slow and steady wins the race – balance and diversify your portfolio. You will be happy that you did this when your head hits the pillow. 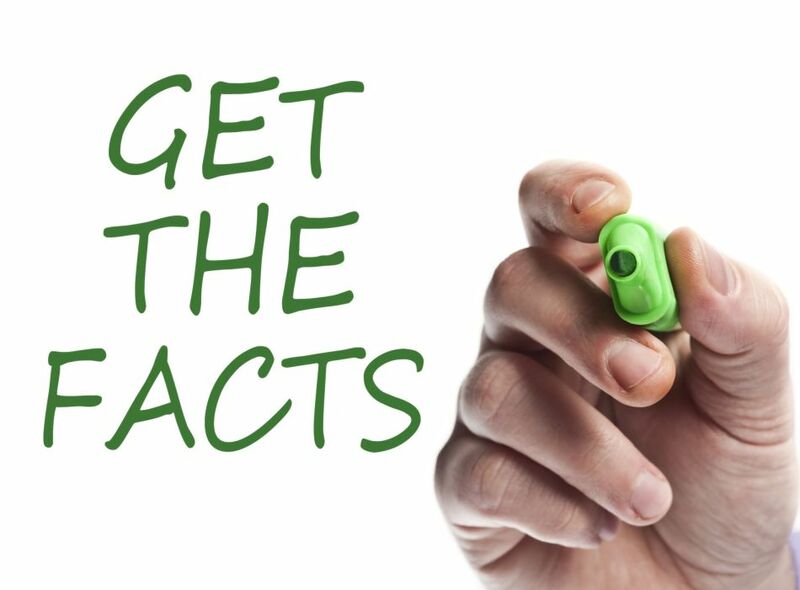 Remember before you can start comparing your rate of return – or the price of your next car – you must get all the facts!